Out of peanut butter? Make your own nut butter in a jif. We get so used to eating certain foods, we sometimes forget there is more to poultry than chicken, more to milk than cows milk, more to breakfast than cereal, and more to nut butters than peanut butter. This morning I reached for the peanut butter jar, but remembered I had served the very last spoonful to my special party guest, Avery, who then declared me the best cook ever (so she is welcome to finish off the peanut butter jar any time). I thought about running to the store to pick some up, but I always have some variety of nuts on hand. Why not make my own, I thought? I pulled out some raw cashews and almonds and gave it a try, adding a little bit of coconut oil, coconut sugar, and vanilla to sweeten it up. 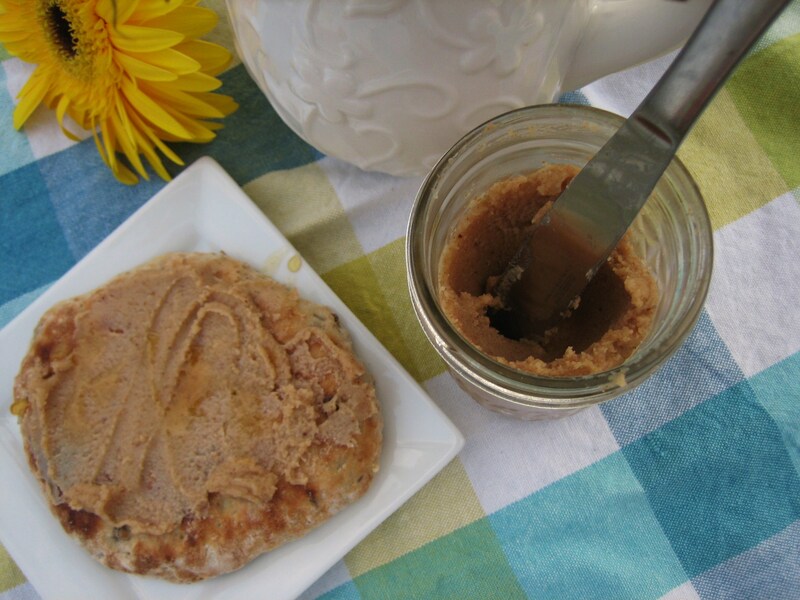 It tastes fresher and less oily, and feels lighter than jarred nut butters. The texture is a lot like the natural nut butters you find in the store (not super creamy like mainstream peanut butter). I can’t wait to try some different variations now. I definitely want to roast the nuts next time and maybe try a cinnamon maple almond version or a honey roasted cashew butter. If Jackson could talk, he just might ask, “What kind of peanut butter is that Momma? Cashooo?” But since he can’t, he’ll probably just grab my face, turn it toward his to get my attention, then turn it toward the jar, over and over until I understand his message, “Mom, look at me! Now look at that peanut butter stuff. Now back to me. Now back to the jar. Got it? Me + jar, stat!” I’m calling this the whiplash stage. 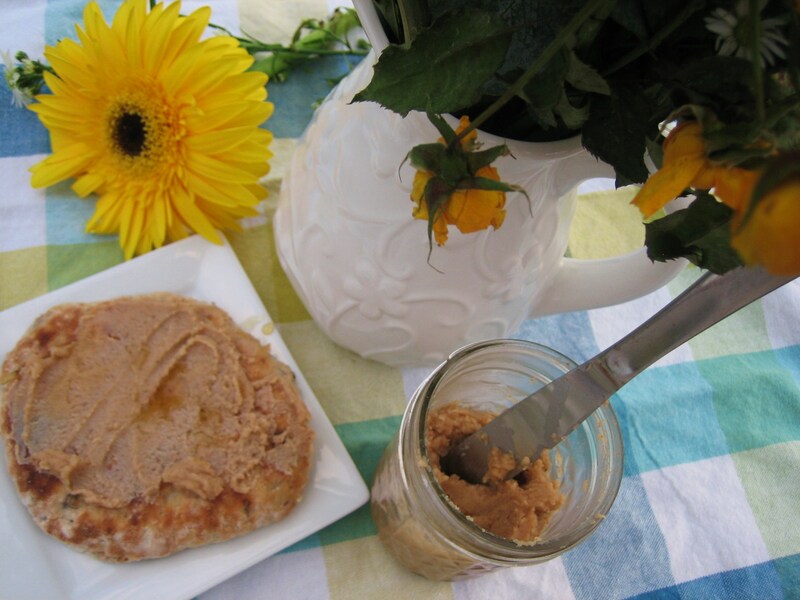 Have you made your own nut butter? What’s your favorite recipe? In a small food processor bowl, process almonds and cashews until they turn into a thick paste. Scrape the sides down as needed. I didn’t time it, but this probably took at least 5 minutes in my heavy duty Cuisinart. Add coconut sugar, vanilla extract, water, coconut oil, and salt. Process another 2 minutes until it is creamy. Store in the refrigerator.